Most of the durian stores are located on the East side of Singapore, but The Durian Tree is an exception to this rule. The Durian Tree is one of the fresh durian stores located on the west side of Singapore– Bukit Batok. The shop is known for offering different durian varieties. Their bestsellers are Mao Shan Wang and Wang Zhong Wang varieties. The shop is owned and managed by two young brothers, Melvin and Andy. These two are a member of the movement of young Singaporean entrepreneurs which aims to create an excellent reputation based on the quality and affordability of the products that they are offering. They also aim to uphold the policy of honesty in transacting their business. The Durian Tree only has one stall in Singapore. As mentioned above, most of the durian stores in Singapore are located on the East side. In addition to that, most of the durian stores have various locations in Singapore. Well, The Durian Tree are exceptions to these rules. There is one and only The Durian Tree stall in Singapore and is found in the west side of Singapore—in the Bukit Batok Avenue, near the Keming Primary School. Head to the shop to get the freshest durians at the right time. 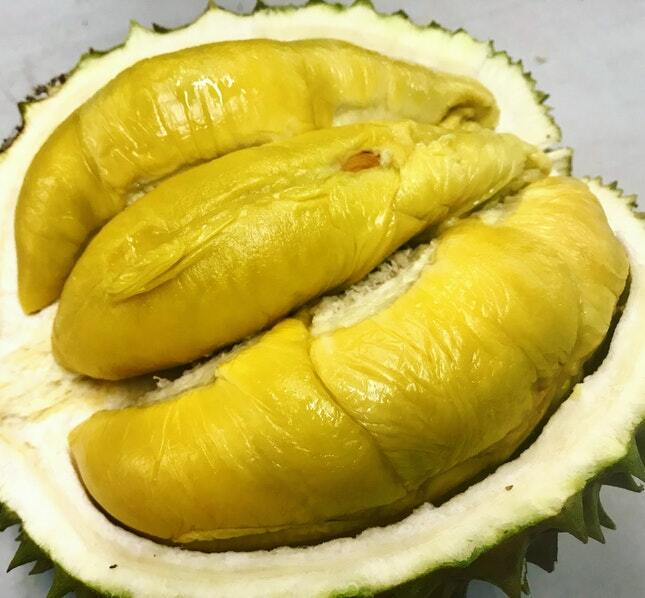 If you wish to get ahold of the freshest durians that you can ever get your hands on, it is recommended that you head to the shop at 1 PM and 7 PM daily. It is during those times that the delivery trucks arrive at the stall. Refrain from visiting the shop too late in the evening. Their stocks easily get sold out and often, they no longer have any stocks past 8 or 9 PM. If you have no choice but to visit their stall during these times, it is best that you check their Facebook page first to know if they still have stocks on hand. They usually post out-of-stock announcements on their page. Special take away packaging is available upon request. If you will be bringing the durian in the plane, it is best that you tell that to the seller. In this way, they can be able to remove the durian flesh from its husk and place it in a properly sealed stink-free packaging. The Durian Tree offers a dine-in section to their customers. Customers of The Durian Tree are provided with a few tables where they can dine in, hang out with friends and have a good time. 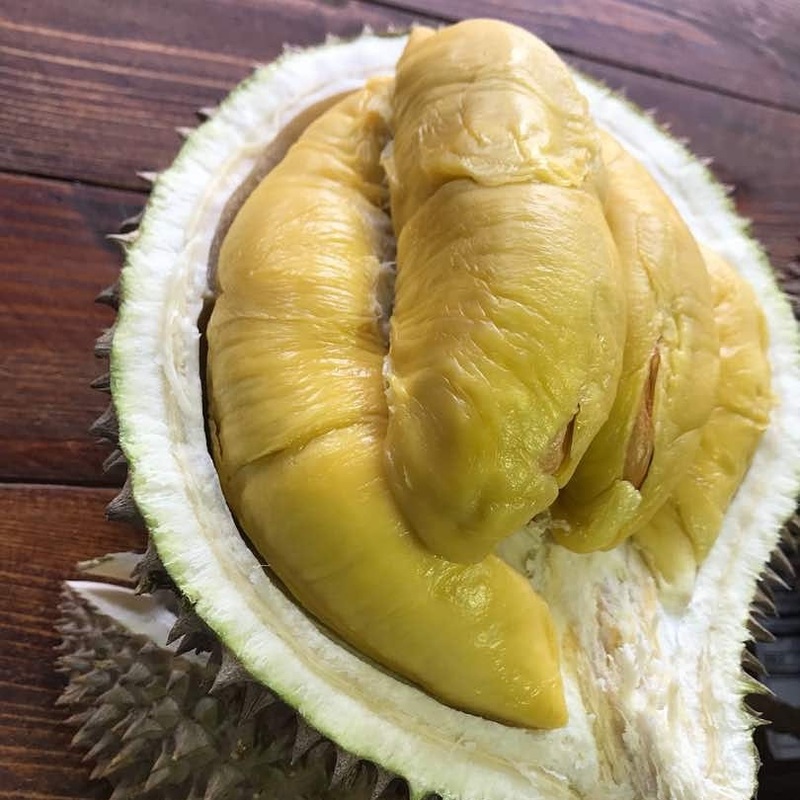 The owners provide the assistance to their customers when it comes to choosing the right durian variety that is suitable with their preference. According to customers, co-owner Melvin provides valuable insight in choosing the best tasting durian. – The Durian Tree does not offer delivery services.